But what if your child is a victim of repetitive bullying? What if the school doesn’t seem to be doing anything to protect your child? More and more parents are holding school districts responsible for such negligence and are pursuing legal action against these public entities. If this is happening to your child, and you’re considering litigation against your child’s school, here are a few things you need to know. First, it is important to know that you are not alone in this pursuit. 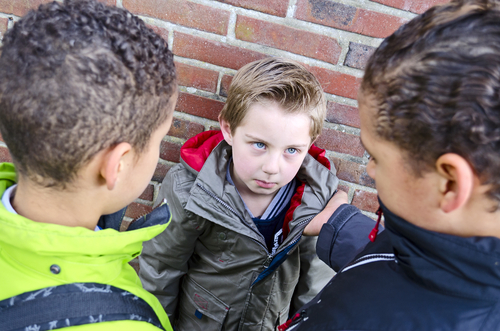 Many parents in recent years have pursued litigation against individual faculty members, schools, and school districts for negligence regarding school bullying. One recent case comes from Daytona Beach, Florida, with a lawsuit filed against the Volusia County School District. The lawsuit claims that school faculty failed to intervene in a bullying case, and the victim suffered serious head injuries as a result of the negligence. Video footage recorded by another student shows the bully verbally assaulting the victim with school staff nearby. Staff ignored the confrontation until the bully began to hit the victim about the head. The school also failed to offer the victim any type of therapy or counseling, which led the teen’s mother to pursuing litigation. This case is still in its early stages, so it will be some time before we see what the results are. Now that you understand the legal precedence for such a case, we will break down a few of the primary steps in pursuing litigation against a school or school district. First, you will likely have to file a claim with your child’s school before you can attempt to file a lawsuit. Many laws require you to exhaust all administrative options for settling such issues before you can sue. If you have filed a claim with your school district, and feel they have failed to address the problem or fix it, you may be able to consider litigation. Suing a public entity such as a school district can be quite complex. While the majority of states have anti-bullying laws, most of them do not offer a course for private action; this means that they don’t allow individuals to sue under the law. However, there may be routes you can take to circumnavigate this issue. You may be able to bring your claim under an anti-discrimination statute, or a common-law tort claim. Determining the correct route to take and how to present your case is incredibly complex, and it’s not something you should attempt to pursue alone. You should always have an attorney at your side in such cases—preferably one with ample experience in such cases. Your child’s school will likely be represented by an attorney who frequently deals with such cases against the school district, and having a lawyer with equal knowledge and experience can greatly improve your chances of a successful outcome for your case. Your child suffered harm from the bullying; physical harm often offers greater proof in these cases, as it can be clearly documented and measured. The school district or a school official knew about the bullying. The school or its staff failed to take action to prevent the bullying. In the case mentioned above, the victim’s parent and their attorney have video documentation of the assault, which shows a staff member nearby, failing to intervene. They will also likely have medical records showing the physical harm that the teen suffered from the assault. This is the kind of proof and documentation that can offer the beginnings of a sound case. However, overcoming the hurdles involved in litigating against a school district can be quite difficult, and there are no guarantees. But if your child is the victim of bullying, and you feel the school has failed to offer proper intervention for your child’s safety, don’t feel as if you have no recourse. File a claim against the school district, and if administrative options fail you, contact us. We will guide you through the steps and help you to determine the likelihood of a successful case against your child’s school district.